Sound Sailing operates in the beautiful waters of Southeast Alaska, departing out of our homeport of Sitka as well as Petersburg and Juneau. These cities are served by daily Alaska Airlines jet service. 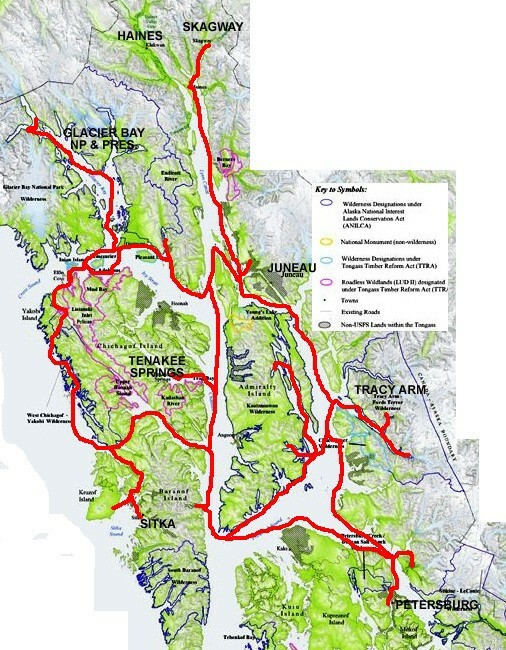 Most of our sailing Alaska area is the 20 million acres of the Tongass National Forest and Glacier Bay National Park. There is very little development in this pristine, remote area and we often have anchorages all to ourselves. The waters of the Inside Passage are almost completely protected from the swell of the outer coast. It’s a spectacular and unforgettable labyrinth of bays, fjords, beaches, mountains and trees. We love to sail Alaska and we catch the wind whenever we can. People with all levels of sailing experience have voyaged on the BOB. Feel free to help sail if you’d like, or just sit back and enjoy the scenery of your Alaska adventure. 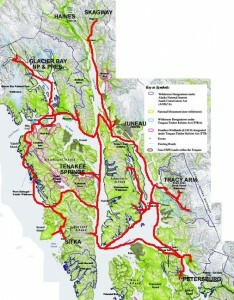 Our schedule is custom designed to maximize your Alaskan interests. There are many itineraries along each route and a choice of several anchorages along each itinerary. You could sail Alaska for many years without staying in the same spot twice (although many are so beautiful it is tempting to stay in the same spot for your entire trip! ).